The dawn of the New Year has also seen the beginning of an important new One Team project for Anadolu Efes Istanbul. One Team is Euroleague Basketball's social responsibility program, aimed at improving the lives of thousands of disadvantaged people all over the continent, and Efes has continued its outstanding work in Istanbul by joining forces with a new social partner, Okyanus College. One of the most important school chains in Turkey, Okyanus College has partnered with Efes to address modern-day social problems which leave many young people without good physical education habits or personal skills such as communication, self-confidence and a sense of responsibility. After discussing this issue together, Efes and Okyanus College have decided to start their collaboration by running a program based around key life skills for 15 youngsters who are taking counseling services. 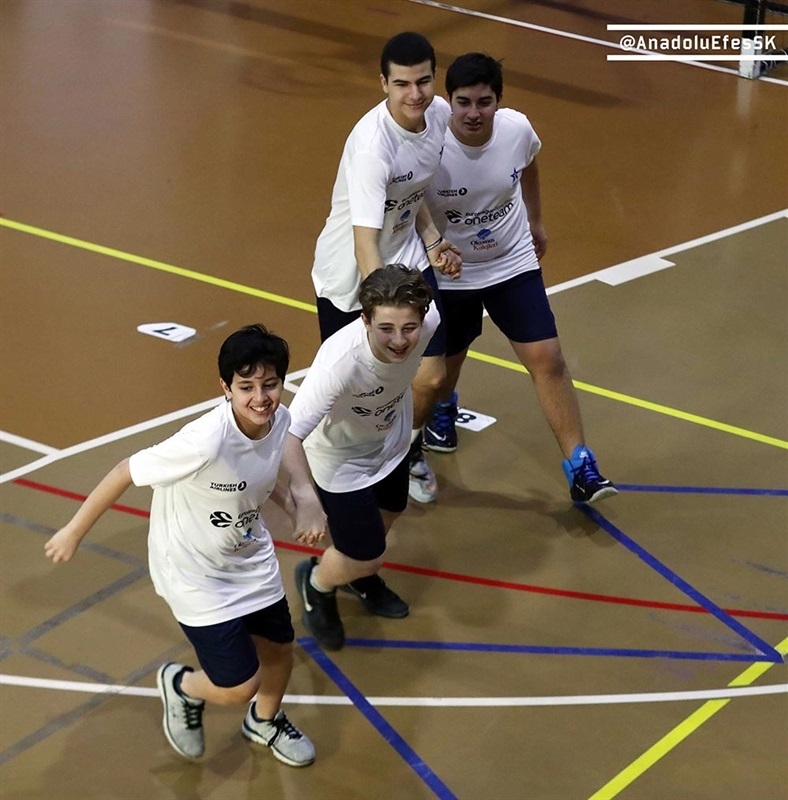 The participants, who are aged 14 and 15, will spend two hours every week for the next eight weeks working with Efes's One Team coaches, with the objective of improving self-confidence, social skills and physical habits, leading to a healthier and better quality life. Gokce Dayi, Efes's Marketing and Corporate Affairs Manager, said: "As a club, we place the same amount of importance on our social responsibility programs as we do on sporting success, and we are following this course in many different fields to create strong social values and benefits. "Our aim this season with our One Team program is to raise awareness about contemporary problems, and our partnership with Okyanus College will help the youngsters become more active, healthier, more self-confident and with a greater sense of responsibility."